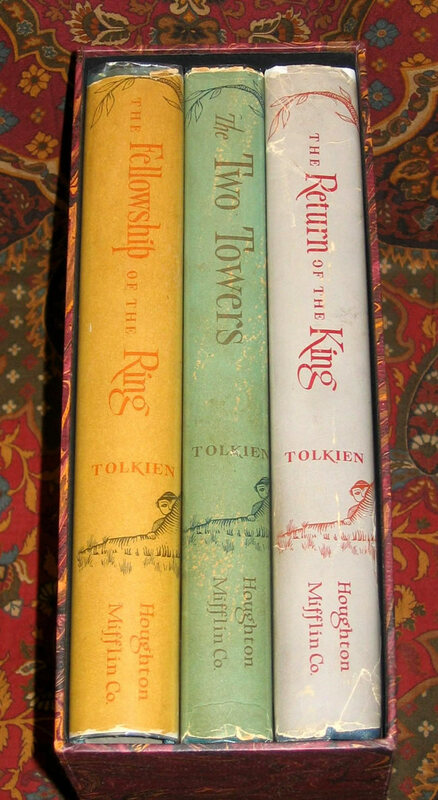 #000582 - The Lord of the Rings, early US 1st Edition set, 2nd/3rd/1st with dustjackets and slipcase - $1550.00 Besides being a truly beautiful looking set, this set is very scarce and collectable. Besides being a truly beautiful looking set, this set is very scarce and collectable. Houghton Mifflin , 1955/1955/1956 1st Editions, 2nd imp./3rd imp./1st impression. 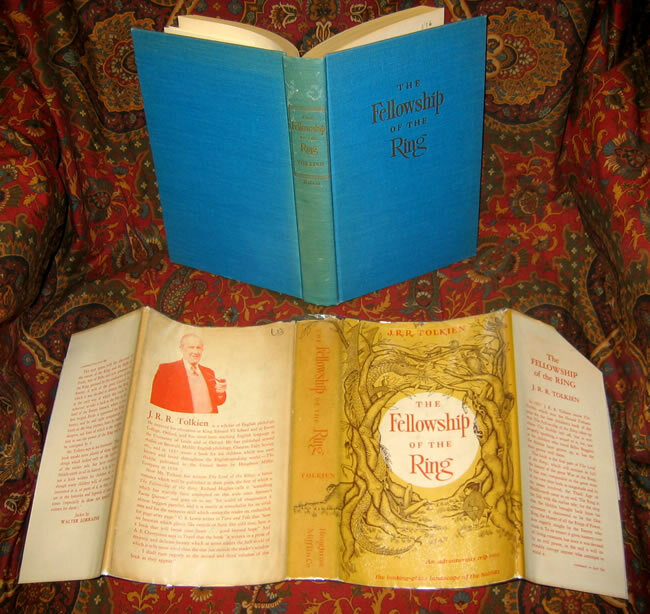 A lovely set of first editions of this classic of fantasy literature. The set is housed in a custom marbled paper slipcase to show and protect this beautiful set. 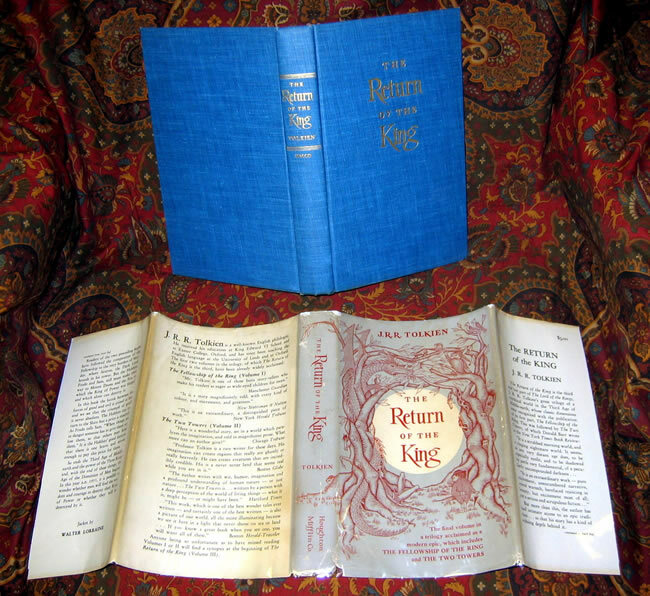 The set is all original cloth with the correct original dustjackets. 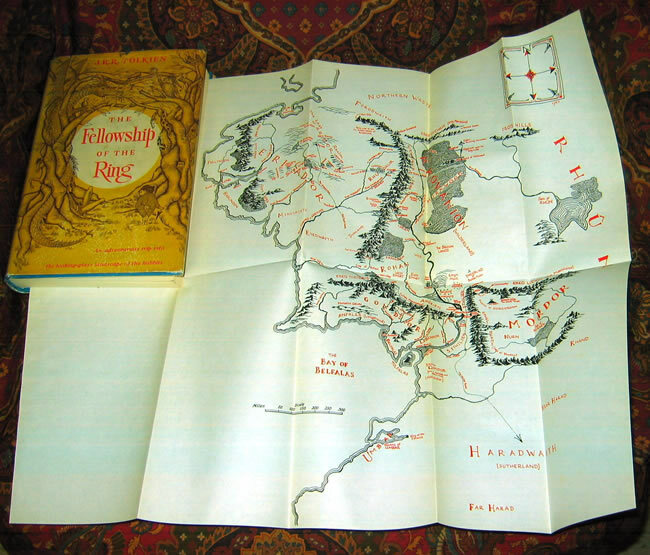 The Fellowship of the Rings corresponds to the 3rd impression of the UK 1st Edition, but is the 2nd US impression, as Houghton Mifflin did not use any of the 3rd UK impressions. 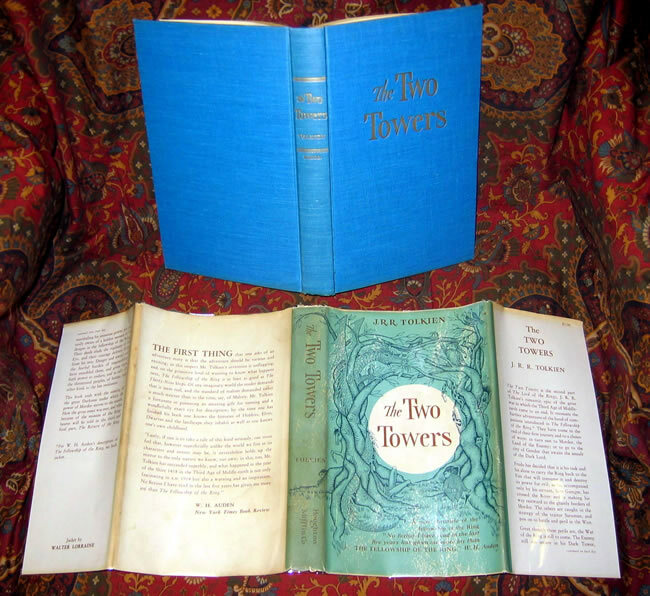 The dustjackets of the set exhibit a small amount of loss to the corners and tips of the spine area, with bright colors. 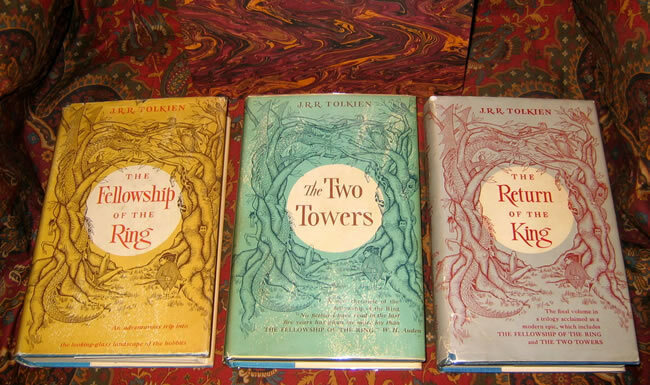 The dustjackets exhibit all the correct issue points for the books, including the "stripe, gap and cufflink" on The Two Towers; the photo of Tolkien in a 'V' on the Fellowship of the Ring; and the oversized '5' in the price with double uprights in the Return of the King. The books are tight and clean without inscriptions or writing. 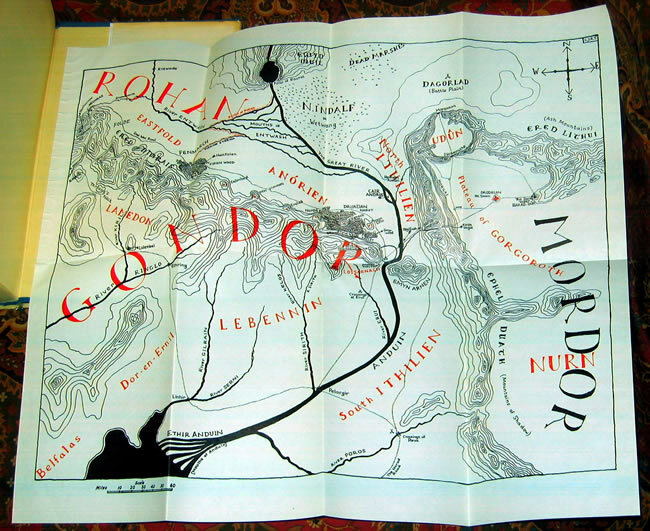 The Fellowship is price clipped, and all lack any foxing whatsoever. 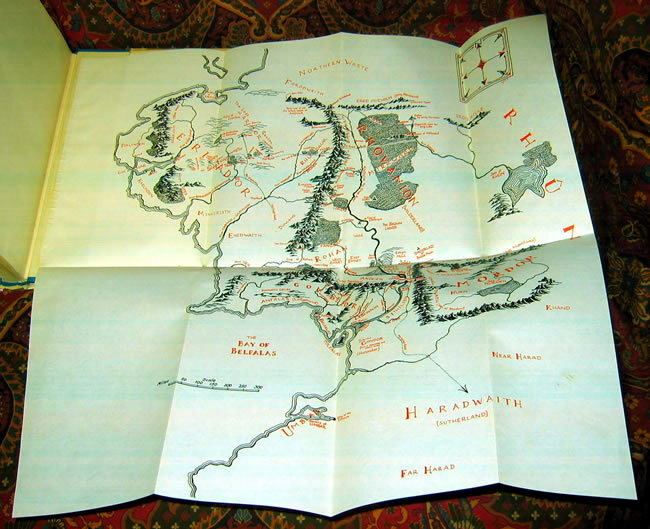 The original maps are present in all three volumes, no extra folds or tears noted.